All about Life Insurance Corporation (LIC) Assistant Administrative Officer (AAO) ✓ Notification ✓ Application Form ✓ Application Fees ✓ Exam Schedule ✓ Number of Vacancies ✓ Selection Procedure ✓ Application Process ✓ Syllabus ✓ Eligibility Criteria ✓ Pay Scale/Salary ✓ Interview Process ✓ Examination Centres ✓ Preparation Tips ✓ Cut Off List ✓ Merit List ✓ Answer Key ✓ Result ✓ Counselling Schedule & more. Candidates are required to apply online application form from the official website www.licindia.in. After successfully submission of application form, candidates need to take print out of duly filled application form for future references. 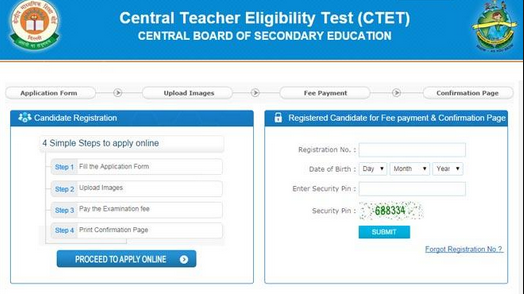 Candidates can apply online only from 15.12.2015 to 05.01.2019 and no other mode of application will be accepted. STEP#01: Log on to official website of LIC. to apply online for LIC AAO 2019. STEP#02: Click on the ‘Careers’ to open the link “ Recruitment of Assistant Administrative Officer 2019”. It redirects the candidates to the online registration page. STEP#03: Choose the tab "Click here for New Registration" and enter Name, Contact details and Email-id. STEP#04: Fill and edit LIC AAO 2019 online application form. STEP#07: Click on 'Payment' Tab and proceed for payment. STEP#08: The payment can be made by using Debit Cards (RuPay/ Visa/MasterCard/Maestro), Credit Cards, Internet Banking, IMPS, Cash Cards/ Mobile Wallets. STEP#09: After submitting your payment information in the online application form, PLEASE WAIT FOR THE INTIMATION FROM THE SERVER. DO NOT PRESS BACK OR REFRESH BUTTON IN ORDER TO AVOID DOUBLE CHARGE. STEP#10: On successful completion of the transaction, an e-Receipt will be generated. Candidates are required to take a printout of the e-Receipt and online Application Form. Candidate MUST pass in each Section separately and should also obtain minimum marks in the aggregate to qualify for the interview. The responses (answers) of individual candidates with other candidates would be analyzed to detect patterns of similarity of right and wrong answers. If in the analytical procedure adopted in this regard, it is inferred/concluded that the responses have been shared and scores obtained are not genuine/valid, LIC reserves the right to cancel the candidature of the concerned candidate and the result of such candidates (disqualified) will be withheld. Reasoning Ability: Questions are asked mainly from the following topics/subtopics Number Series, Alphabet Series, Direction Sense test, Coding Decoding, Ranking, Arithmetical Reasoning, Seating Arrangements, Age problems, Blood Relations, Analogy, Decision Making, Mirror Images, Cubes and Dice, Grouping Identical Figures, Embedded Figures etc. Quantitative Aptitude: Questions are asked mainly from the following topics/subtopics Number System, HCF, LCM, Simplification, Fractions, Ratio and Proportions, Percentages, Time and Distance, Time and Work, Profit and Loss, Average, Simple and Compound Interest, Mensuration, Algebra, Data Interpretation etc. Computer Knowledge: Questions will be asked from History of Computer Development, Types of Computer and basics, Shortcut keys, Hardware, Software, Network, Internet etc. English: Questions are asked mainly from the following topics/subtopics Synonyms, Antonyms, Analogies, Common Errors, Idioms and Phrases, One Word Subsitution, Sentence Completion & Improvement, Rearrangement of Sentence / Paragraph, Fill in The Blanks, Cloze Test, Comprehension passage. Professional Knowledge (Only for Chartered Accountant Posts): Questions will be asked from the basics of this course. Candidates will have to visit the website under the heading “Careers” http://www.licindia.in/careers.htm for downloading call letters for on-line examination from the last week of February, 2019 onwards from the given link hosted on LIC’s website. Intimation for downloading call letter will also be sent through e-mail/SMS. Once the candidate clicks the relevant link, he/she can access window for call letter download. The candidate is required to use (i) Registration Number/Roll number, (ii) Password/Date of Birth for downloading the call letter. Candidate should affix recent recognizable photograph on the call letter preferably the same as provided during registration and appear at the examination centre with (i) The Call Letter (ii) Photo Identity Proof as stipulated in the Call Letter and Photocopy of the same Photo Identity Proof as brought in original. 1:- Log on to the official website www.lic.ac.in. 4:- Call Letters/Admit Card will be show on your screen.